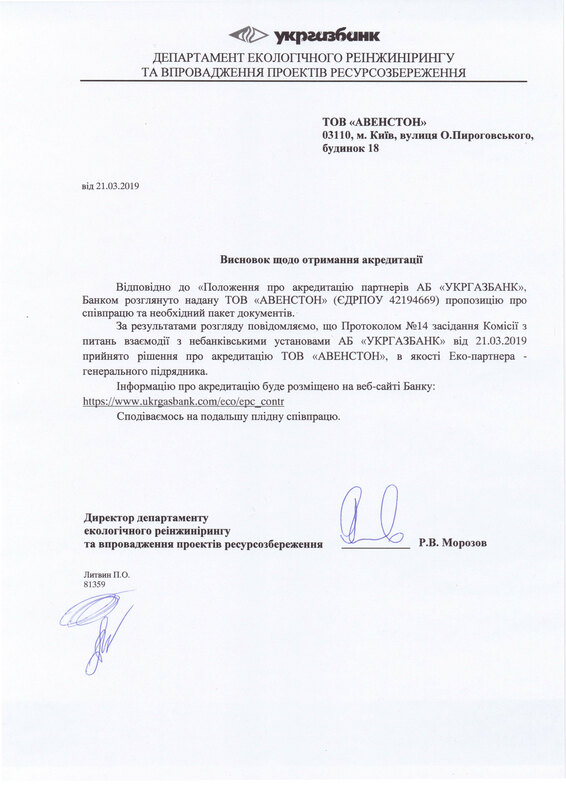 Last week, Ukrgasbank published a list of EPC-contractors on its page who received the highest level of accreditation of JSB “UKRGASBANK”. The Avenston company was included as well. The Department of Environmental Reengineering and the Implementation of Resource Saving Projects has decided to accredit LLC Avenston as an Eco-partner – the general contractor. 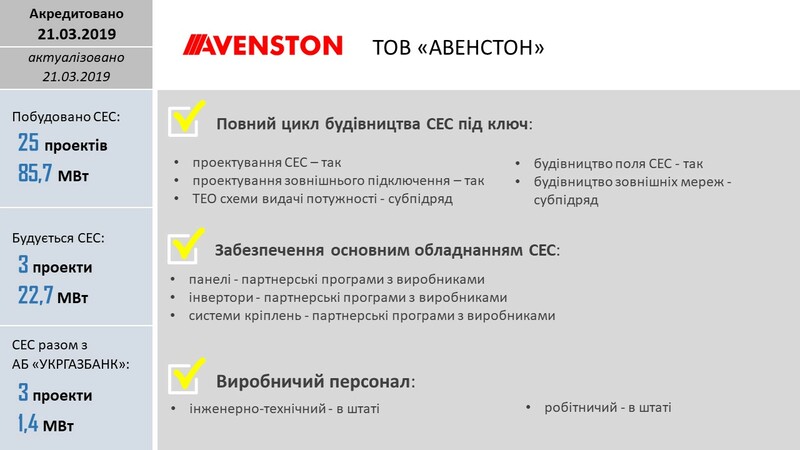 The website of Ukrgasbank indicates how many solar power plants have already been built under the leadership of Avenston, how many of them are expected to be built, and how many projects have been implemented together with Ukrgasbank. We hope that future cooperation will be successful and productive.